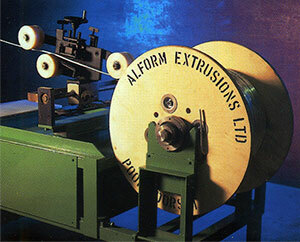 Solid Aluminium Conductor being wound on to a drum. 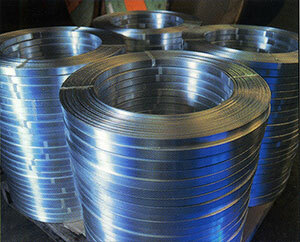 Lightning Conductor coiled ready for the Steeplejack. 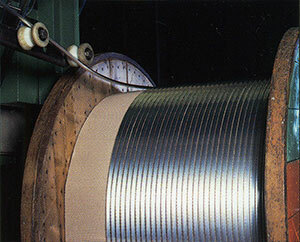 Aluminium section being wound on to a wooden reel.